It can be tricky to learn how to fly as a dragon. After all, dragons rarely live in basic landscapes. Take cave dragons, for instance. They live high up in the mountains, exclusively. When cave dragons take off they can easily be blustered up by a rogue gust of wind. That can take a dragons daily plans off their traveling course by miles. They might be headed over to terrorize the innocent Homeyham village but they'll end up gliding over unicorn lake and the enchanted forest instead. One gust of wind saved Homeyham Village from a lot of trouble. Weather saves the day again! 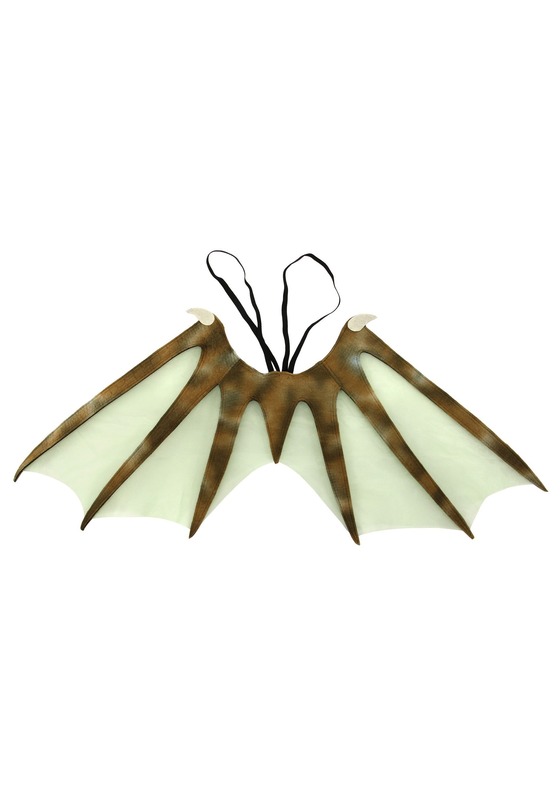 These lovely verdant dragon wings are the perfect way to top off a costume and will work wonders for playing pretend as well. 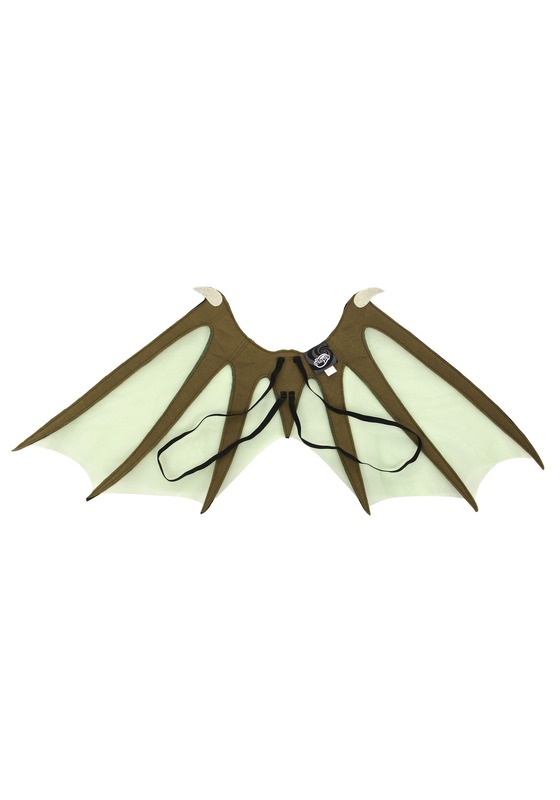 The ribs of the wings have a subtle neutral-toned pattern on one side and have a claw at the top. The wings are plenty comfortable with elastic securing them to your child's shoulders. When you're training your little one to be a winged dragon, give them a few tips. Tell them to take off from a low place. Check the weather before flights. And never, ever eat a full meal before a high-altitude journey. Being a dragon is a lot of responsibility!